“We’re not gonna dress her up in pink clothes” was what my wife and me agreed on when our daughter was born about two years ago. And for one and half years we re-used her big brothers clothes through all seasons. But then came spring and it became clear that we won’t be able to hold on to that idea - because our daughter loves pink and she didn’t fit the clothes we had. 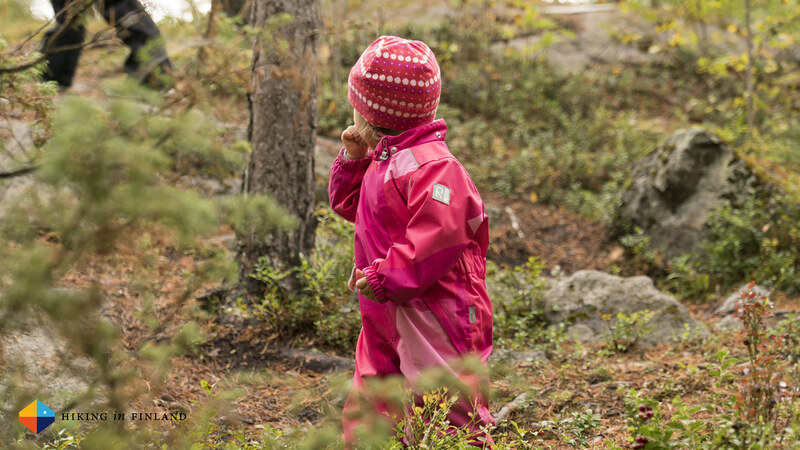 And so a pair of pink shoes, a pink beanie and a pink overall arrived from Reima, and we haven’t looked back since. Disclaimer: The Reima shoes, overall and beanie have been provided by Reima for review without requirements. And as you know: I’m keepin’ it real and tell you how it is - I maintain full editorial control of the content published on Hiking in Finland. Read the Transparency Disclaimer for more information on affiliate links & blogger transparency. Välikausivaatteet is Finnish for In-between seasons garments and refers to garments for the very brief but vibrant spring (those two weeks where everything bursts out green plus those many weeks or months of grey & brown) and the colourful autumn. 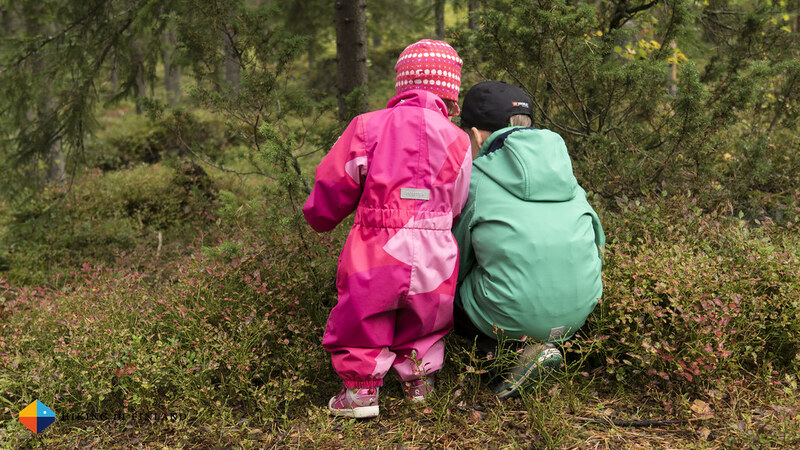 To be honest, though - the summer in Finland was for the third year in a row so wet, grey and just not summer-y that you could wear these Välikausivaatteet from May till when winter comes (thanks to climate change that likely is again January or February). Anyway, what makes these garments - and lets focus for a moment especially on the Reimatec Nauru Overall - special is that they are less warm than winter clothes but still keep especially wind and rain at bay. 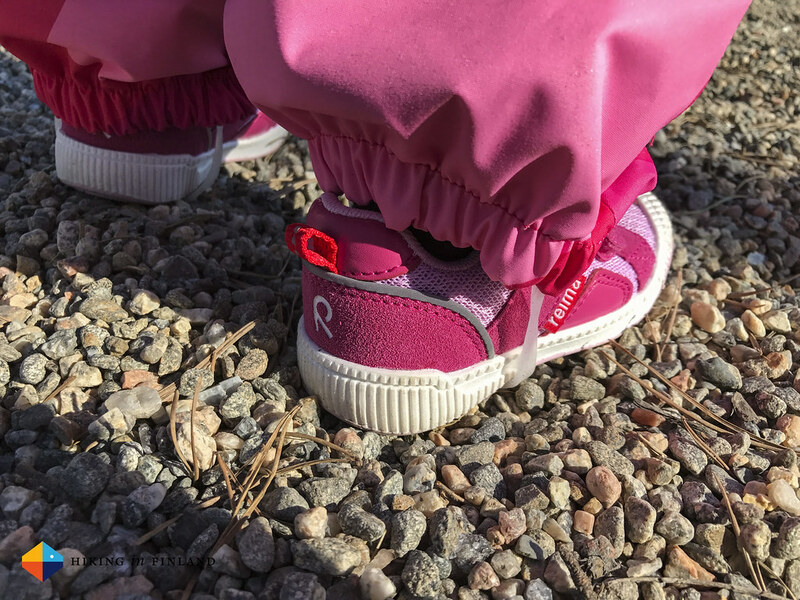 The Nauru Overall is very waterproof and fairly breathable, the diagonal zipper makes it easy to put on and the hood can be removed when not needed. We picked it because it is pink, but not straight-out-Barbie Pink but a nice block print with different shades of pink - something that parents that are slightly opposed to this colour still can accept. Our daughter didn’t share this colour aversion and as the Nauru Overall arrived it was the best thing ever, something that she’d pull off the wardrobe and put on as soon as just the word “outside” was spoken! 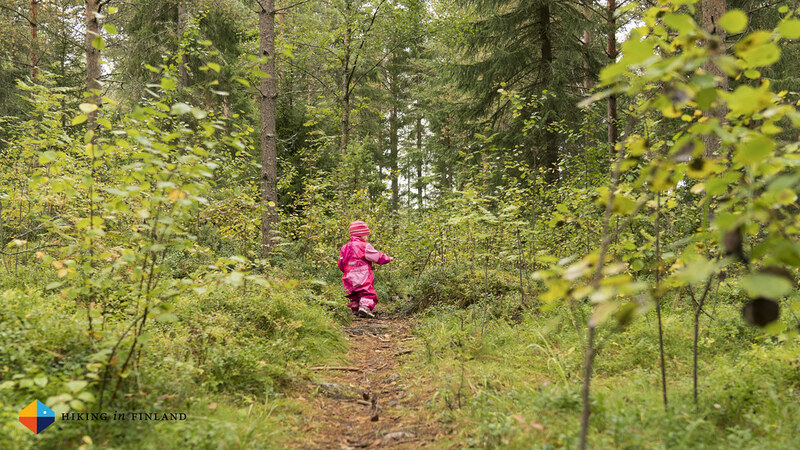 She really loves this overall, and it has been very good on all her little adventures so far - be it playing on the playground, strolling through the forest and picking bilberries or sitting in the Thule Chariot when we ride around town. 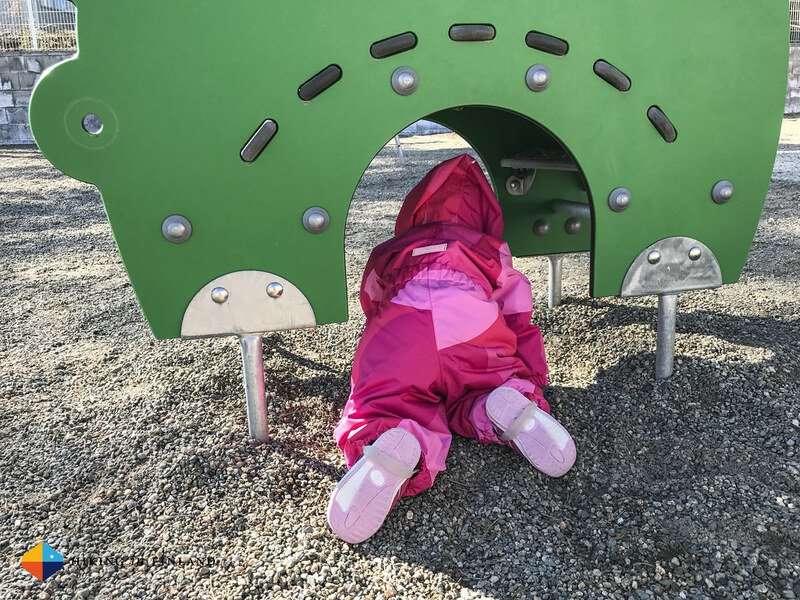 The suit is also spacious enough that she can wear a fleece or wool overall underneath it when it gets a bit colder, and it has a great freedom of movement that allows her to climb, slide and run. She’s been now wearing it since five months and in that time it has been several times in the laundry, but it still looks great and with some luck she still will fit it when the next in-between-season arrived in 2018. As we needed some new shoes for her too, we decided to go pink all the way and ordered the Knappe Shoes. These have Velcro closures which she can open herself, and while she can not yet put the shoes on she can take them off when we come home. 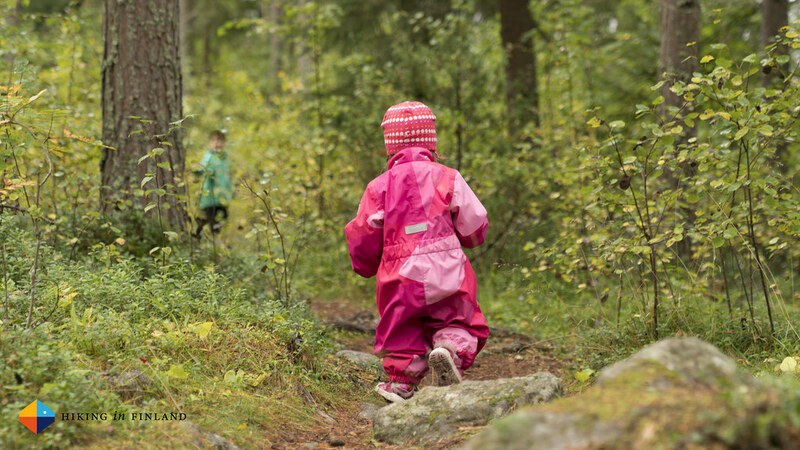 They have good grip on wet forest trails with roots and rocks, and also are fine to climb on boulders and at the playground. As it has been quite a bit rainy over here the shoes have kept her little feet dry and warm.